Something from my bar whenever I feel like it episode CVIIsteemCreated with Sketch. For this off the wall Thursday episode something a little different. This is one of my picture/mirror/signs whatever you want to call it. I've had this one for at least 25 years. It's a Molson beer thingy. 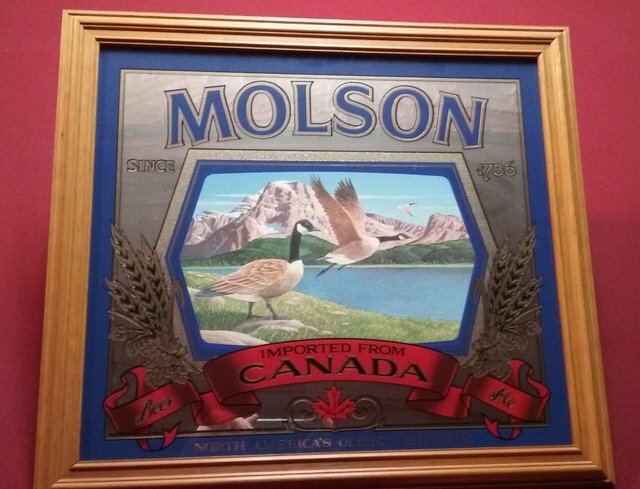 I'm not a Molson drinker and never have been. Got this one as a gift from my Mom. I was looking for a beer pic to put on my wall for my dorm room when I was in college and she liked the picture on this one. Can't argue with that it is a nice pic.